Manufacturers of injection molded products will love the benefits of using biodegradable plastics. With this new material come new opportunities. 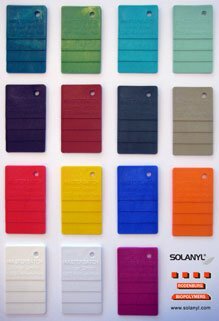 Solanyl can be used in standard injection molding equipment. Lower processing temperatures are required resulting in energy savings. Offer customers a new, innovative alternative material to attract new environmentally focused companies. Custom blends are designed and available to accommodate specific properties requirements. Processing and product specification sheets are available upon request. Please contact us for more information. For more information related to applications and pricing, contact us at our Canadian head office.